Today I was presented with a couple interesting problems surrounding GRE tunnels. 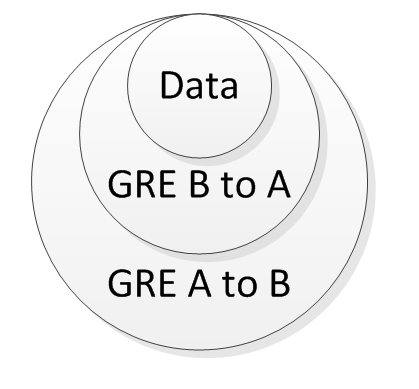 Because I am no expert with GRE, it took a while in order for me to figure out what was wrong and how to fix it. I’ve heard a lot of engineers say that keepalives will break a tunnel and that you shouldn’t use them. This is a half truth. 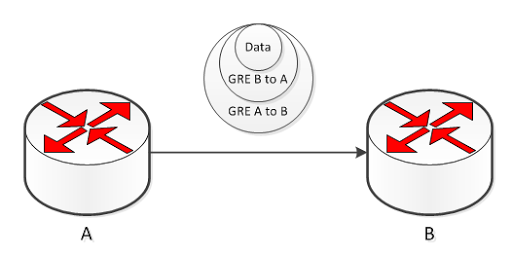 Since GRE Tunnels are supposed to be stateless, they should never go down and from a routers perspective they are up unless you explicitly shut the interface for the tunnel. But the tunnel can be down without the router knowing about it. Keepalives are the router testing the tunnel to make sure that the tunnel is functioning both ways. When Router A receives the packet and removes the GRE header, it’s left with the original keepalive packet and knows the tunnel is functional. If the packet does not return, it knows the tunnel is down and will eventually take the state of the tunnel to DOWN after enough keepalives fail. On a Cisco router, the keepalive command is pretty simple to implement. As you can see, we’re not seeing the return traffic. In this case, the issue was a NAT problem where the GRE packets were being NAT’d to the outside instead of being put into the IPSec tunnel. Running a packet capture on the firewall indicated that the packets were hitting the PAT Overload rule and not going into the VPN crypto map. With this fixed we see the normal behavior. Now we are seeing happy keepalives and the tunnel is back up.